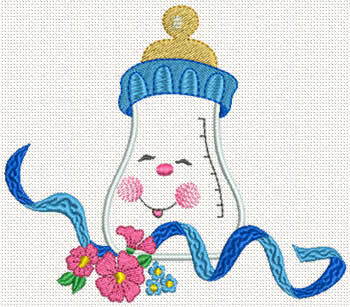 A sweet baby bottle embroidery design. The design is available in 2 sizes. The smaller size designs will fit in a 4 x 4 hoop.